About Us | HOKUYO AUTOMATIC CO., LTD.
HOKUYO, founded in Osaka, Japan in 1946, developed and continues to offer some of the original automation technology with products such as counters, photoelectric sensors and Automatic doors for a wide range of factory automation systems and various production processes. 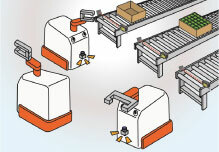 For many years we have been developing several types of products for factory automation that include high-accuracy CCD sensors and optical data transmission devices and maintain an outstanding reputation for our creativity and performance with customers. HOKUYO products are integrated into many industrial sectors such as textiles, electric wire, iron & steel, transportation systems, mounting machines, semiconductor and LCD facilities. They have contributed to the growth and development of these industries. With the fast-paced changes in information technology, industrial globalization and despite the environmental and safety uncertainties we face in the world today, Hokuyo will adapt and continue to thrive as a leader and continue to pursue its growth with great efficiency. As a pioneer of automation technology, Hokuyo will be sensitive and proactive to the needs of customers and pursue the challenges ahead to offer the best product solutions in the future. Hokuyo looks forward to your continued business in the future. Before the word “automation” became well-known, we began dealing with automatic control, satisfying our customer's needs and producing original products that helped many industrial fields. Our basic policy is to always comply with social standards and changing values, consistently develop a steady and distinctive management upon our foundation of self-improvement, fulfill the satisfaction of our customers, and continue growing as a company. We have our worldwide distributions network, we guide you to our partner in your region and please feel free to contact us. 2019 Van Buren Ave., Suite A, Indian Trail, NC 28079 U.S.A.
We declare our quality policy that “In order to supply products with the best function and quality, we are continuing to implement research and development and will create original technologies. The quality management system should be built up based on the global standards. While taking the social responsibilities, we aim for the permanent development of the company and all related parties”. We have created a quality management system confirming with ISO9010 in 1997 and upgraded to ”ISO9001:2000” in 2002. As we stated in the policy description, In order to supply products with the best function and quality, Hokuyo obtained the international standard certification ISO9001. We are making efforts to continuously improve the quality system to satisfy our customers by supplying superior products with dependable quality. As an enterprise, we fully maintain our social responsibilities to comply with the laws, regulations and consider the environmental effects when developing products. Hokuyo intends to get ISO14001 of the international environmental management system and aims to become an eco-friendly corporation through the continuous system improvement, so that we can provide customers with earth-conscious products. Hokuyo works toward realization of the energy saving society through the customers using our products by development of eco-friendly products and initiatives of automatic control systems. The SOKUIKI sensor can control air conditioning and lighting as well as the opening and closing of doors at necessary times by obtaining information in advance such as the number and direction of movement of people within the set area. Factory automation makes it possible to realize the shortening of hours, energy savings through efficiency in the process and a decrease of CO2 emissions. In addition, a reduction of human errors through automation leads to yield improvement and a lower level of defectiveness, thus making it possible to eliminate waste of resources and energy. Automation in our society has accelerated progressively, as seen in life-assistance type of robots used for shopping attendance and life support as well as in automated homes and commercial facilities. In such an automated society, Hokuyo contributes to the environmental improvement in the area of “Optics” of each automated device. Hokuyo promotes lead-free solders in response to the Directive on RoHS and green procurement in order to realize earth-conscious products as a corporation. Solders are absolutely necessary for manufacturing electronics and electric devices and most of them have contained lead until recently. These days, however, it is necessary for countermeasures against lead to be argued for including lead-free solders, because lead contained in waste seeps into the ground and flows into the underground water, which may have an adverse affect on the human body. Hokuyo reduces environmental burdens by accelerating the use of lead-free solders. Control instruments are not regulated by the RoHS Directive (as of October, 2006), however, Hokuyo is moving toward adaptation to the RoHS Directive continuously in order to satisfy customers’ requirements. For the products adapted to the RoHS Directive, please contact our sales representatives or the direct contact at Hokuyo’s website. Hokuyo’s green procurement means investigating the constituents of components in our products and content of regulated substances along with prohibiting and managing the object substances based on the guidelines formulated. 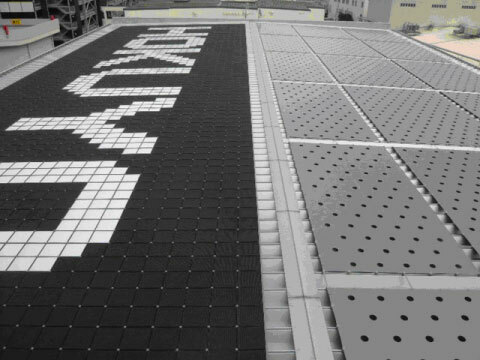 Hokuyo aims to make our workplace an energy-saving factory. We reduced power usage through more efficient air conditioning units and by covering the roof of the production building with a moss greening unit and light-blocking sheet. For the purpose of reducing environmental burdens, acceptance of our customers’ requests and compliance with the legislation, Hokuyo investigates the content of the materials regulated and substances controlled by Hokuyo for our purchased articles. Basically, Hokuyo uses JAMP AIS Ver4.0 set forth by the Joint Article Management Promotion-consortium as the form for investigation. When the in-charge staff contacts you, please cooperate in answering to the investigation. 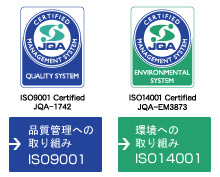 ISO14001 JQA-EM3873Obtained International Standard “ISO14001” for Environment Management System in March 2004. 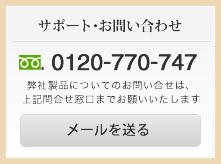 HOKUYO ELECTRIC CO., LTD. founded at 8 Banchi, Eiraku-cho, Kiata-ku, Osaka City with JPY 180,000 in capital with 10 employees. Began sales of electronics, mainly automatic control devices. Increase in capital to JPY 1 million. Changed corporate name from HOKUYO INDUSTRY CO., LTD to HOKUYO AUTOMATIC CO., LTD.
Set up Juso factory in Higashi-yodogawa-ku, Osaka city. Began to produce a cshion starter and counter. First photoelectric sensor completed. Delivered to Daiwabo Co., Ltd.
Prototype of an electric Automatic door completed. Set up Tokyo office. Began to produce an air type reset counter. Began to sell Automatic doors. Developed a timer and counter-timer. Beginning with digital counters, developed products such as micro timers, sequence timers, and printing counters. Developed an automatic reset counter by motor. Set up Nagoya office. Increase in capital to JPY 10 million. Began to sell micro timers. Increase in capital to JPY 20 million. Increase in capital to JPY 50 million. Developed a 3-shift counter and hot metal detector. Mover Head Office to Sonezaki, Kita-ku, Osaka city. Began company-wide total quality management. Set up Mikuni factory in Niitaka, Yodogawa-ku, Osaka city. Began to sell electronic counters. Began to sell a microwave sensor. Began to sell a laser sensor. Set up Shizuoka office. Began to sell an ultraviolet sensor. Demands for microcomputer equipped devices increase. Continuous development of system devices. Developed compact photoelectric sensors, optical data trancemission devices, and pattern inspection devices. Began to sell a fiber type sensor and elctronic counter with nonvolatile memory. Began to sell a 10 micron type optical contour measuring sensor. Began to sell a fiber type sensor with 2-beam and area sensor. Began to sell a LCD type electronic counter, optical character reading sensor and 1 micron type optical contour measuring sensor. Began to sell a proximity sensor. Began to sell an optical remote controller. Began to sell an electronic counter with communicating function. Began to sell an image-recognition sensor. Began to sell an automatic tuning type fiber sensor. Released an image sensor displacement gauge, LED linear length measuring sensor and optical distance sensor. Began to sell an obstacle detection sensor. Obtained international standard IDO14001. Began to sell a laser range finder. Numerous laser range finders get equipped in robots of Expo 2005 Aichi Japan. Laser range finder awarded 2006 This Year's Robot Awards award for excellence. Selected as one of best 300 companies in small-medium companies. Participated Tsukuba Challenge (Real World Robot Challenge). Moved Head Office to Tokiwamachi, Chuo-ku, Osaka city. Laser range finder awarded 2008 Japan Society of Mechanical Engineers Award-Technolory. Subsidiary Company in South Korea, HOKUYO KOREA CO., LTD. established. Toyonaka Factory established in Toyonaka City, Osaka Prefecture. Aquired all of the outstanding shares of its long-term distributor Sentek Solutions, Inc. and changed the name to Hokuyo Automatic USA Corporation as wholly owned U.S. subsidiary, started the operation. Established Amsterdam office as a branch of International Sales Department. Moved Head Office to Edobori, Nishi-ku, Osaka city.